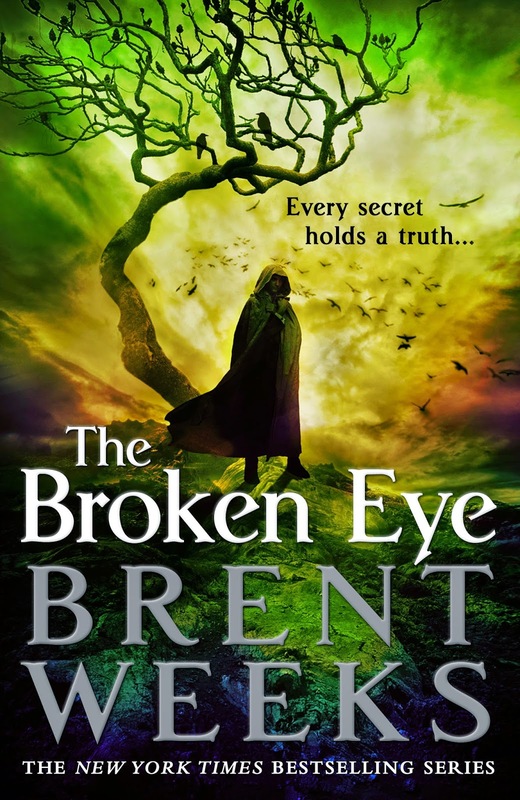 The Broken Eye is the third novel by Brent Weeks in the Lightbringer series. The book was released back in august and is the follow up to The Blinding Knife (2012) and Black Prism (2010). The final volume in the series is titled The Blood Mirror and will see the light of day in the full spectrum... eventually. Among that endearing, charming and still patterned cast, Gavin Guile was previously the "main" hero, for the bigger part of the first volume, but Kip became more prominent when you consider the three books. The boy clearly emerges as the central piece of the puzzle. With a unique voice, the conflicted teenager become aware of adulthood just around of the corner, shows more confidence but still act clumsily enough in many social aspects of his life to make me grin, more so since he clearly knows it and thinks about it all the time. Kip is Weeks best written character. That insight into his blunt and shaky psyche is a gem. Moreover, Kip's confrontation with his grandfather, Andross, is becoming a compelling contest and the reality of his personal importance versus his squad mates and his Blackguard potential are well handled. All of this is happening while Gavin is discovering a new life he has to accept. For all that, I felt a discrepancy between the narratives of both characters, possibly due to the strangeness of the timeline in The Broken Eye. It didn't stick with me in the first two books but right at the start of some chapters or paragraphs, some weeks or months can go by. It was probably a necessity for the story to evolve fast enough, even at a leisurely pace, and with a book already of that size, that's a must. Still, it felt strange. In this charming, not too contemplative tale of the acknowledgment of responsibilities and the obvious power game, aside from the Guiles, The Broken Eye offers many gripping story threads and more than enough action to cheer for. The White is playing her cards, Teia is going undercover with the self-evidently named spy-assassin Murder Sharp and his sect (a nice task for this less fascinating protagonist), even her indebted situation and the fact that she still struggle with liberty, Karis advancement, Ironfist and Tremblefist backstory... you name it! That's why it ought to last more than four books! The core of the novel is clearly the power struggle, more interesting than an all-out warfare all across the world. However, by making that narrative choice, the author set aside Aliviana Danavis (and his father) and one of the main rivals, the Color prince. Sadly, that lack, aside from a few chapters, fails in explaining what happens to them in all those months!?! Again, it's more about the immediate threat of Gavin and the internal struggle of Kip, and that's why new characters could have popped up, some of them dying or standing on the side and the meta could have become stellar! Don't worry, there's some backstabbers among the cast. Furthermore, prophecy has been an important part of the Lightbringer series so far with the representation of the important people of the world from the past to the present in the infamous cards of Nine Kings (you know, reminiscent of the Malazan dragon decks?). I didn't really like the direction Weeks took with this element and the unavoidable presence of real Gods felt unnecessary. We'll see, I will have to thrust the author on this delicate matter. Gods and time meddling are treacherous grounds. The Broken Eye filled an Epic Fantasy gap for me, it felt like a very comfortable blanket that I couldn't get under for long enough! Cover: Better than the Blinding Knife but the cover quote... it wasn't necessary. Did you know that every secret hold a truth? Darn! The design is the work of Lauren Panepinto, the illustration from Silas Manhood and the photography by Shirley Green.